Continuing my study of exquisitely painted portions of favorite paintings, here’s another group of perfect passages by brilliant painters. My comments come from the heavily biased approach of a working painter. 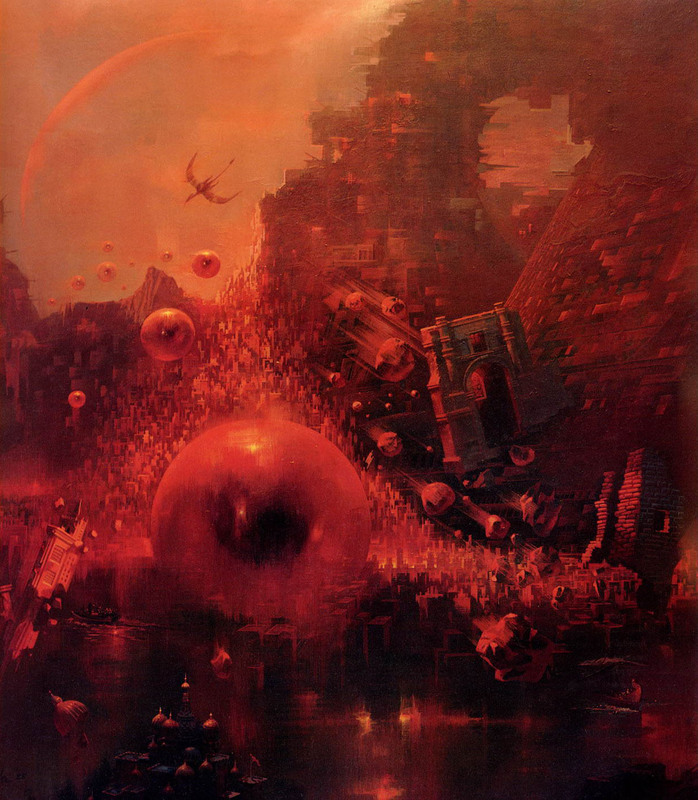 In the piece above by Paul Lehr, the soft edges of the main eye are given great transparent depth by the contrast between the primary and secondary reflections. The edge of the palm against the lighter white flesh of the breast is so close to the same value, yet just enough of a shift to give the hand weight. 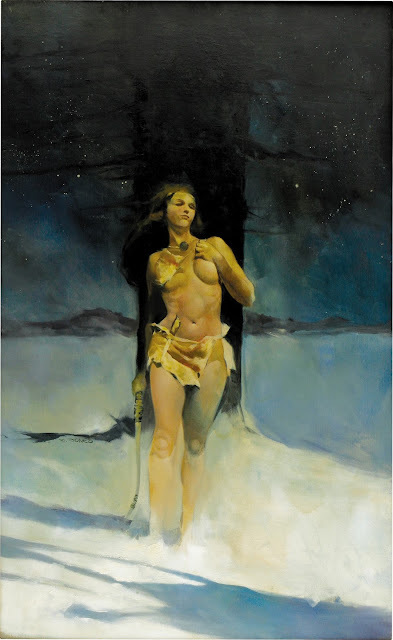 That sharp line is the focal point of the piece, by Jeffrey Catherine Jones. 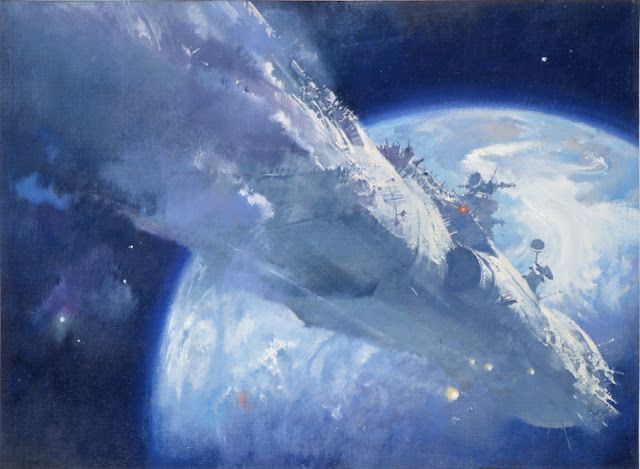 The bounce light floods the bottom of this ship with bright value, but is still dark enough to read as mass against the clouds of the planet. The bottom edge is everything. John Harris. In Frazetta’s work the detail gets all the credit from most viewers. 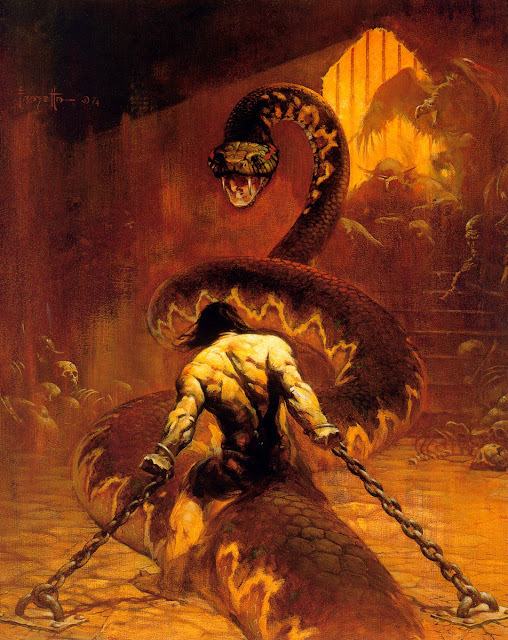 But here, Conan’s back is applied with such wonderful, free strokes, it captures for me what is the best part of his work. This fantastic battle scene by Ruan Jia is full of lively areas, but the way the light bounces from those shields and helmets in the middle ground is just....perfection.